Overall handle has increased more than 8% after five weeks of racing at Del Mar, with two solid weeks of action still to come. 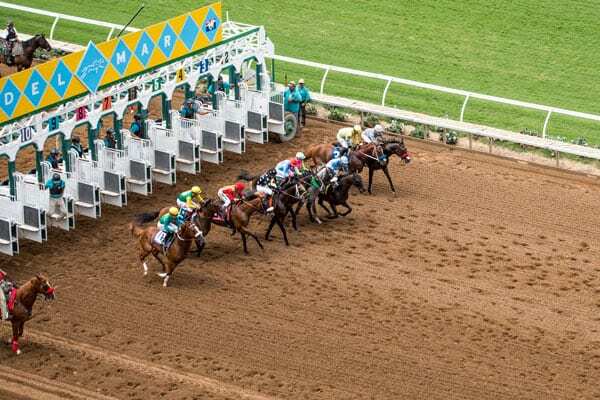 Track officials welcomed the Friday announcement of the return of Breeders' Cup to Del Mar in 2021, then saw a single-day handle mark topple when $25,969,128 was bet on Saturday's TVG Pacific Classic Day card. To underscore the good business trend, the track drew a record-shattering sum of more than $5 million to Sunday's early Pick Five wagering pool, thanks to Saturday's $785,777 carryover. High-quality competitive racing continues to be the summer's theme at Del Mar, as field size is averaging 8.8 runners per race. Jerkens – and Executive Vice President, Racing Tom Robbins – both point to Turf & Landscape Superintendent Leif Dickinson and Director of Track Maintenance Dennis Moore as key positive elements to the racing results. “Leif and Dennis just do wonderful work and allow our horsemen to showcase their horses and to safely bring them back quickly if they choose,” Robbins noted. The final two weeks of racing are packed with fourteen stakes races, including the Grade I Del Mar Debutante (September 1), the meet's championship race for 2-year-old fillies and the Grade I Del Mar Futurity (September 3), which traditionally produces one of the Kentucky Derby future-book favorites. Racing returns to Del Mar Wednesday with first post at the usual 2 p.m. This entry was posted in NL List, The Biz and tagged david jerkens, Del Mar, del mar thoroughbred club, Dennis Moore, handle, handle increase, leif dickinson, pacific classic, total handle by Del Mar Thoroughbred Club. Bookmark the permalink.